Don’t wait to implement your cyber protection program. An excellent place to begin developing your approach is with the newly published “The 7 U.S. Homeland Security Strategies” White Paper. 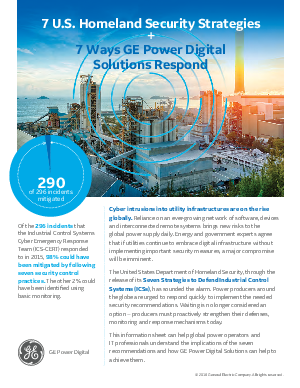 See the 7 recommended strategies and learn and how digital solutions can help fulfill steps toward a more secure operating environment.